Introducing a new way to invest in British business. Explore investment opportunities in credit-assessed SMEs on the go and earn from 5.95% on your investment. Peer-to-peer lending in your pocket. Download our app for free from the App Store. It's designed to run on both iPhone and iPad. To keep Investor accounts secure and to help prevent fraud, all new Investors must complete our verification checks. Once verified you can invest immediately. Just load funds to your account and choose the businesses that you want to lend to. 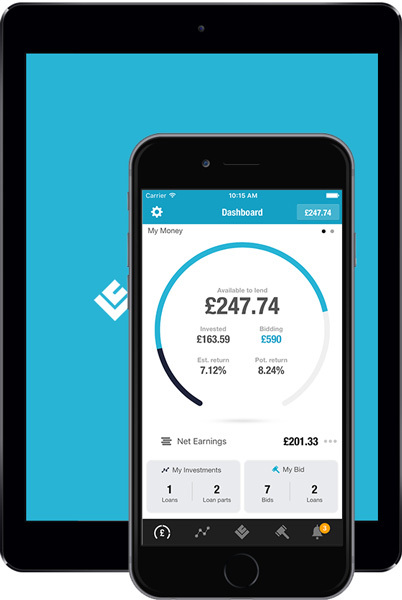 Investing with the new LendingCrowd app is easy and you can start with as little as £20. 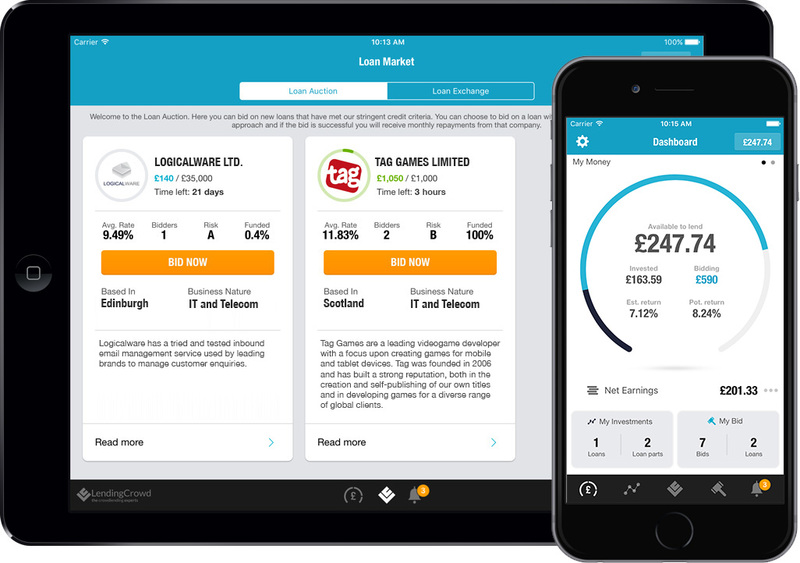 Within the LendingCrowd app you will find two investment options. First up is the Loan Auction where you set a rate and amount, and then place a bid on the loan. Second is the Loan Exchange where you can buy loan parts that your fellow Investors are selling to free up capital. 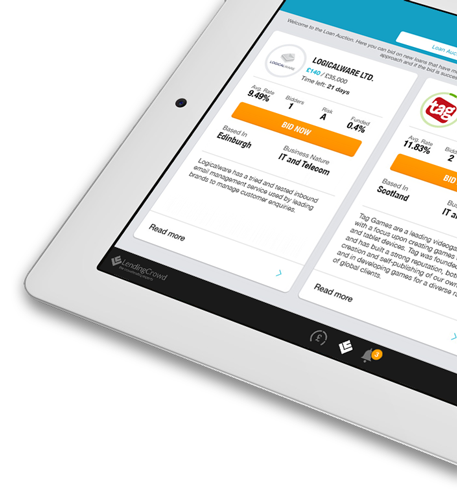 If you do choose to invest through LendingCrowd, you should understand that as a Lender, your capital is at risk. We take the security of your personal information and money very seriously. 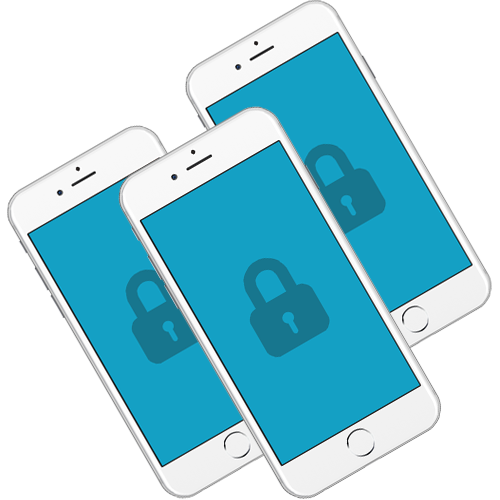 This sensitive information is never saved on your phone and is fully encrypted and securely stored on our servers. 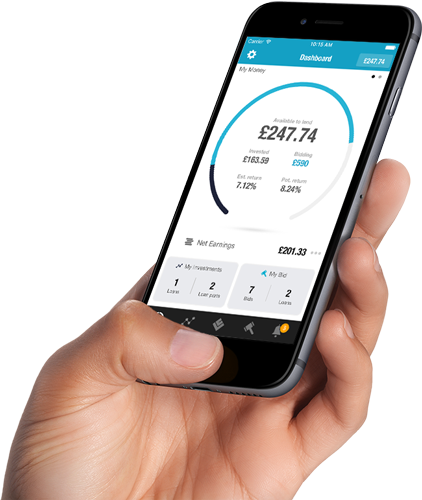 LendingCrowd is authorised and regulated by the Financial Conduct Authority (FCA) and is a member of the UK Crowdfunding Association (UKCFA). Invest, check your bids, sell loan parts and make instant investments anywhere at any time. Get notified when your bid has been accepted, your loan part has sold or even when you have been outbid by a fellow Investor, allowing you to rebid at a lower rate when you're out and about.